Whoah! That’s a lot of words. My wee blog has now been around for over three years and my post rate has varied considerably, depending on what’s going on with my life. Every time I write a post, WordPress tells me what number it is. Given my current stop-start posting rate, #500 has been coquettishly just out of reach for a little while now. The flirt! That’s probably because 2011 has been absolutely full to the brim with health challenges, as well as seemingly endless physical/emotional healing and all kinds of personal insights. Stuff that’s mostly been way too hard to write about. However as always, I try to share what I can. Sometimes it’s hard though, even for Ms-Heart-On-Her-Sleeve-Svasti. A few of my readers say things like: Wow you’re so brave in what you share. Hmmm, really? You should see the stuff that DOESN’T make it to the blog! There’s been a lot of that lately. But here I am. Yikes! When I think about where I was when I first started blogging… well, you can track my progress if you care to venture into the archives. To put it bluntly, I was a mess. But a mess with a purpose! I can’t tell you how amazed I am by the difference between how I was back then – a PTSD basket case – and now. Blogging has been absolutely integral to my healing process. Which means that you all out there have been, too. I’m not dead! I didn’t kill myself although there were a few times where it was kind of a close shave. I know now that I actually WANT to live! I didn’t become a drug addict or an alcoholic. I reckon living with crazy amounts of physical or emotional pain can easily do that to a person. If I didn’t have yoga, writing and therapies (of all kinds), it could’ve happened to me. There’s been more ups and downs in this journey than I could’ve imagined. I don’t for one minute think it’s over yet, but it IS a different journey now. I’m way more healed and whole than I ever could’ve imagined. Which blows my mind. Facing down your demons, and being pain-stakingly honest about them all (with yourself) is totally worth it. To celebrate, I present my first ever give-away!! 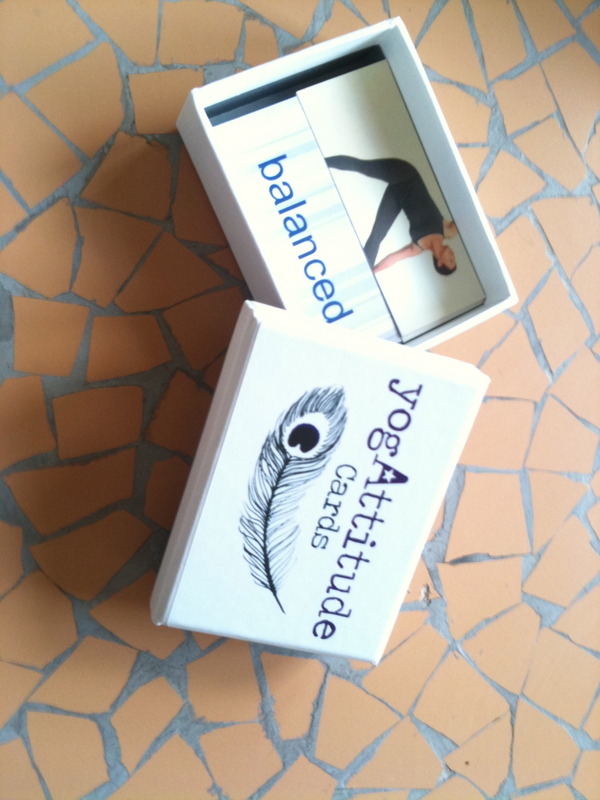 In my 499th post, I reviewed my friend Nadine’s yogAttitude cards. Did you read the review? Frack, I really LOVE what she’s done there! For one super-lucky person, I have 1x set of yogAttitude cards + workbook to give away. Whoohoo! This give-away is open to everyone, no matter where you are. As long as the postal address is somewhere on planet earth, okay? To throw your hat in the ring, simply leave a comment below. Wowzers, how did I EVER manage to do THAT?! 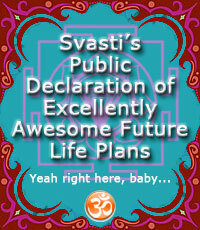 I AMAZE MYSELF WITH MY AWESOMENESS!! It could be about some kind of healing, an inner-realisation, overcoming a fear or phobia, learning a new language, climbing Mount Everest, going sky-diving – whatever! Just something that makes your toes curl in glee when you think about it, if you know what I mean. 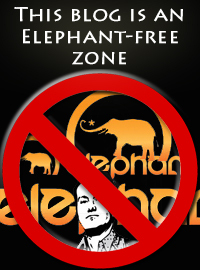 Entries close on Friday 30th September 2011. So hop to it, lovely people!! Yipee!! Congrats! What a mega milestone and some pretty darn terrific posts too! Here’re some of my milestones: I reached one year of teaching yoga in May, I’m at 48 hrs with no Diet Coke, June was 10 years of Marriage to my guy, and I’ve been a mom for 8 years in Dec.
Svasti, I’m such a sucker for a chance at a prize, and this jumped out asking me to speak it here when I read “it could be….an inner realization.”….hope it’s OK, it’s going to be a bit long…. As you know, my dad died in Sept. 2009 and my mom passed in Feb. 2010. As with many parent-child relationships, we had our challenges. I ran away from home three times as a teenager to give you an idea of how stormy things were. As I grew in adulthood, I grew closer to them. I’d tell them I LOVE YOU at the end of every phone call and I’d say to people, Oh, I love my folks and I know they love me…but there was always this big BUT…that was their faults screaming at me….like my dad’s explosive anger and my mom’s aloofness. A couple of months after their deaths I was meditating/thinking about them when a vision appeared in my mind of them holding me and smiling at me right after I was born. I really felt them standing near me, looking at me with total love for their new baby. Of course at this point, I began crying at the realization of how much they loved me and how they had always loved me, even through the troubles we caused each other. About a week after this incredible event, I was again meditating and the same vision came to me. This time though, not only did I feel THEIR love for me, but I realized that even though I was only a baby, I ABSOLUTELY LOVED THEM. I had always loved them. And that my heart was filled with so much love,,,,and was capable of so much love than I had ever known possible. I was absolutely in a state of total love…the room was filled. This feeling stayed powerfully with me for about a week or so, lighting my life in incredible ways.I’m a little sad that it took their deaths for me to “get” this, but I am a changed person knowing what I’m capable of now, and ever so grateful to them for this blessing. Congrats on 500!!!! I am – as usual – awed by your writing and presence here. Well done you! I’ve been reading this blog for a long time….almost reluctantly at first as when I began to read your pain was so palpable and I admit that it was all a little too close to home. But I couldn’t stop reading, much as through bad times and good you didn’t stop writing. Thank you for that….you have done some of us more of a service than I can express. As to “wow!” moments. For me it’s that moment when my beautiful, smart, balanced and much loved youngest daughter left junior school this year and I looked around at my growing business and realised how far I’d come from unemployed single-parent of two with PTSD. I would congratulate you anyways because 500 is quite the milestone but I would love the yogAttitude cards too! I’ve been following along for quite some time and I am so encouraged by your journey and healing. Sometimes it makes all the difference to know that you are not alone. Congrats again and good thoughts for your improving health! On August 30th of this year I was officially a ten-year survivor of heart surgery (followed on the same day by a heart attack). One doctor suggested that I wouldn’t even reach age 50, in 2008, much less this ten-year mark. Now to shoot for another decade of time with my husband, daughter and grandchildren plus my many wonderful friends. I’m sure they all played a role in my success. you beat me in the posts…I’m in the 400s….must find something to give away when I hit 500! Hubby and I completed a very strenuous 9 mile hike. It was definitely a “WOW” moment.